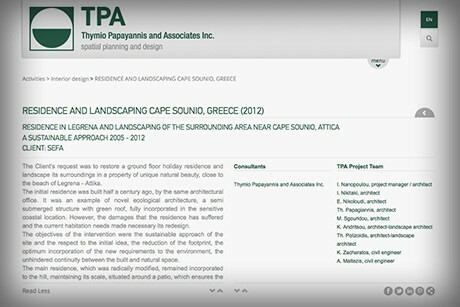 Thymio Papayannis and Associates Inc (TPA) has been providing specialist services in the fields of planning, architecture and engineering, both in Greece and internationally, since 1959. The primary objective of its activities is to take a holistic approach to the design and management of space within the framework of sustainability. The firm is among the few in Greece to provide integrated services in the fields of urban and spatial planning, architecture, landscaping, civil engineering, electrical and mechanical engineering, and environmental science. Operating with a staff of sixty partners and associates, TPA is committed to its core values of professionalism, social responsibility and environmental sensitivity. 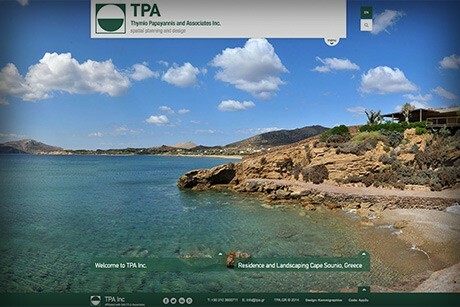 app2u worked on the development of TPA’s website complete redesign. 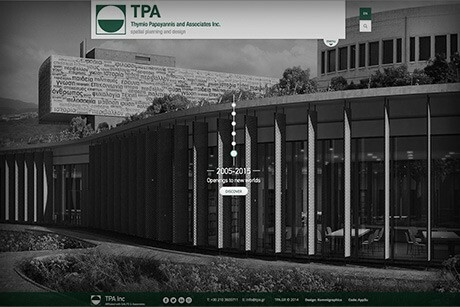 For this project we worked in collaboration with Kommigraphics (http://www.kommigraphics.com/) as well as the TPA Inc. team responsible for the company’s web presence. We developed a content management system, based on app2uCMS, in order to ease and simplify the administration of the website by the client. As for the website’s frontend, we used state-of-the-art technology to enhance and transform the previous website, provided by Kommigraphics, into a fully functional responsive website, compatible with desktop and with mobile devices.